Halloween is just around the corner, time for the ghoulish costumes and the oh so delicious candy. When preparing for Halloween, people often think about costumes, decorations, and candy rather than cleaning and preservation. Getting wrapped up in the holiday is fun and understandable, but suffering unnecessary losses is anything but enjoyable. By taking just a bit of time to use 303® Products on their decorations, furniture, and costumes, people can add protection to their possessions and get back to celebrating the holiday. Decorations can be expensive, and even those that do not cost much can still have sentimental value. Spraying 303 Aerospace Protectant on outdoor decorations can protect them from incurring weather damage. 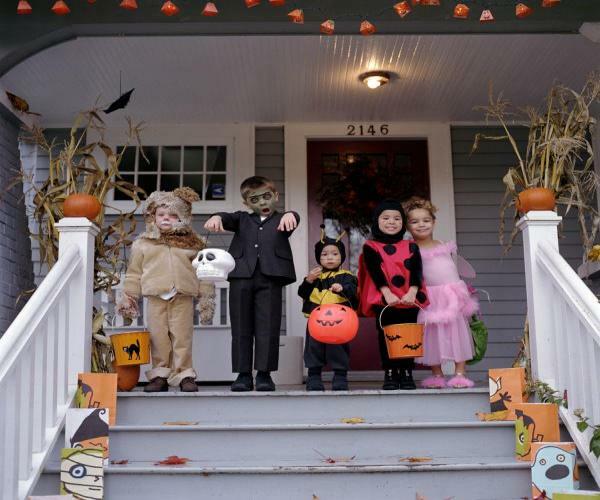 Inflatables, skeletons, cauldrons and pre-lit pumpkins can all be damaged by rain and dirt, so spraying them with 303 Indoor/Outdoor Protectant can help them look just as scary on Halloween night as they did when they were first placed in the yard. Decay and deterioration have their places in spooky decorations, but they should not be caused by weather damage. Costumes can also be susceptible to the effects of bad weather damage, but spraying them with 303 Fabric Guard will give protection to costumes from the rain and dirt that can result from bad weather. Nobody wants to be the person who cannot go trick-or-treating or partying because of the bad weather, but spraying 303 Fabric Guard on costumes will enable them to repel water and resist dirt. Spraying the costumes beforehand will give partiers and trick-or-treaters one less thing to worry about on the big night. 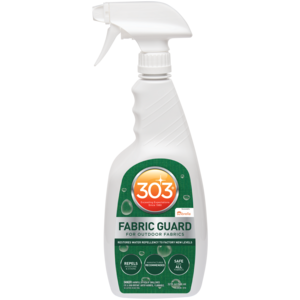 When applying 303 Fabric Guard be sure to allow yourself enough time for the material to dry; for best results apply a week prior to wearing and be sure to apply it in an outdoor environment. A car or motorcycle can be a fun part of a costume. Going as a biker is much more fun with a tough-looking bike, and going as a greaser just would not be the same without a shiny, vintage muscle car. Wiping down a car or other vehicle with 303 Speed Detailer before riding around trick-or-treating with the family or going to an awesome party will ensure that the driver arrives in style and makes an impression no matter the destination. Rolling up to someone’s door as a movie star never felt or looked so good. Preparing for a Halloween party is about more than decorating and making out a menu. Nobody wants to go to a party at a dirty house, so cleaning with 303 Multi-Surface Cleaner will get rid of everything from basic dirt and grime to resistant stains. In order to make a house look haunted and deserted, it needs to be cleaned up properly first. Wiping away those dried-on pieces of pumpkin is also easier, as is cleaning away dried glue and glitter from children’s art projects. Multi-Surface Cleaner is also useful for cleaning after all the monsters and superheroes have gone home and all that is left are memories and a mess. 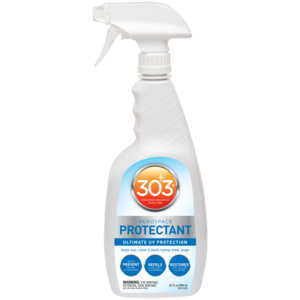 Cleaning up after a Halloween party will be noticeably easier if the indoor and outdoor furniture has been sprayed with 303 Fabric Guard (or Protectant for those vinyl, leather, and wood surfaces) beforehand. Ghouls and ghosts who come to scary parties can leave messes that are all too real, but protecting patio furniture cushions, indoor carpeting, and other similar surfaces can prevent feelings of fear and despair that have nothing to do with celebrating the holiday. Spilled soda will come off of treated carpet more easily, and those patio cushions will not be stained by the melted chocolate. A little bit of preparation by using 303 Products for Halloween will keep the scariness where it belongs: in the air and off the carpet.